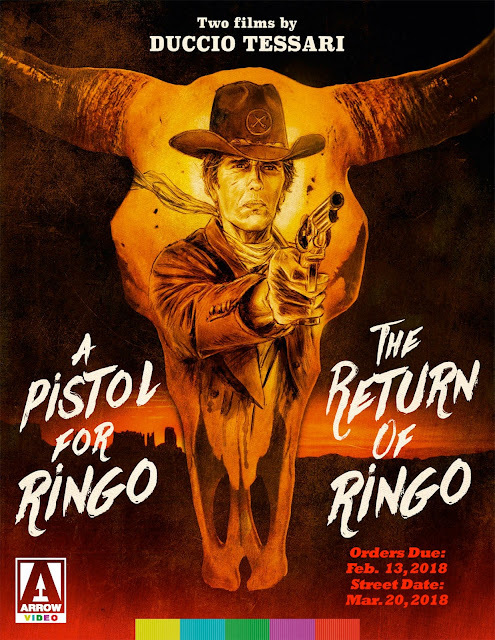 For the period ending January 26, 2018 ... New DVD and Blu-ray selections added to the DVD & Blu-ray Release Report's database. 01/23/18 — Released Creating a Dominant 2-3 Zone Defense, Fundamentals and Techniques for Record Breaking Middle & Corner Infield Play, Open Practice: Blueprint for Up-Tempo Team Practices, Record-Breaking Infield Defense, Throwing and Catching: An Everyday Throwing Program that Works, Variations and Adjustments Out of the 2-3 Zone, Winning Soccer Matches: No More Goals Using Any System! and Winning Soccer Matches: Score More Goals Using Any System! Oscilloscope Laboratories announced this past week that documentary filmmaker Viktor Jakovleski’s Brimstone & Glory, an explosive — literally — look at the annual National Pyrotechnic Festival in Tultepec, Mexico, will be available on Mar. 13 as both DVD and Blu-ray product offerings. The film debuted in March of 2017 at the annual True/False Film Festival in Columbia, Missouri and then proceeded to work the festival circuit and in the process piled an impressive list of wins, including Best Director (Documentary Features) and Best Documentary at the Austin Fantastic Fest and Best Documentary at the San Francisco International Film Festival. Along the way Oscilloscope got wind of Jakovleski’s work and picked it up for domestic theatrical and home entertainment release. The film opened in selected arthouse venues this past October and arrives on Mar. 13 with an ARR of 137 days. 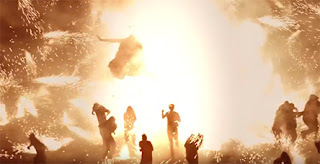 For ten days each year it is a glorious salute to all-things pyrotechnic — fireworks that is — in Tultepec. It is literally non-stop!! It is not without its risks as in 2016 the entire San Pablito Market in Tultepec went up, killing 42. It is said, that of the roughly 90,000 residences of Tultepec, three-quarters are engaged in the business, craft and profession of fireworks (that leaves school kids and the elderly as the only ones not working in the trade)! Each year the Festival sees both professionals and amateurs joining in, with the pièce de résistance being the parade of bulls around the town square. For weeks, even months, leading up to the parade, dozens of teams work on the construction and internal fireworks configurations of larger than life papier-mâché bulls, which come together in the annual parade and then are detonated in a fiery cataclysm that has to be seen to be believed! Each team tries to the top the others in their creative use of fireworks! 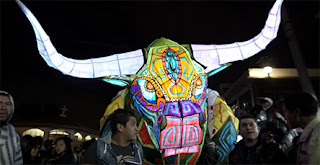 Jakovleski captures both the spirit of the Tultepec National Pyrotechnic Festival and the unbelievable sight of the bulls — it is a world that Fellini might have conjured up! 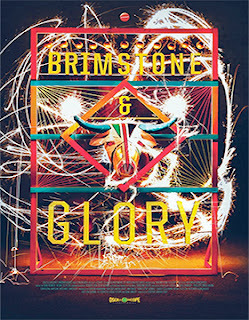 Bonus features include a video session with filmmaker Viktor Jakovleski, that is titled “Into the Bull Fire,” there is also a featurette titled “The Innovator,” which focuses on the work of artist Amauri Rafael Sanabria Urbán — he is considered among his peers to among the best fireworks technicians in the world — and a compilation of super slow-motion footage. 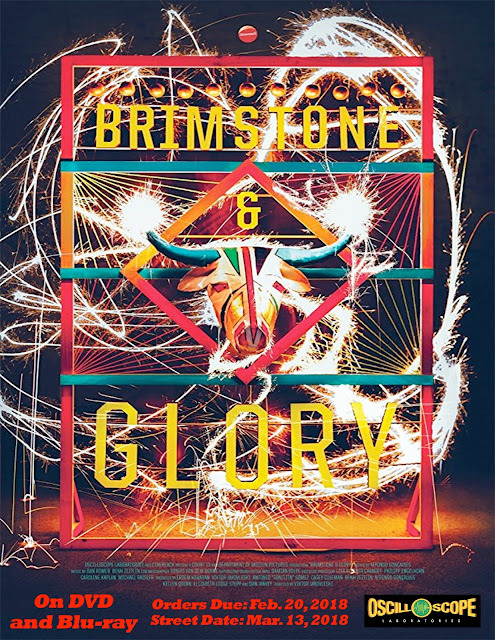 Brimstone & Glory is presented in Spanish with English subtitles. It’s double-barreled Spaghetti Western action from Arrow Video — with domestic sales and distribution support provided by MVD Entertainment Group — on Mar. 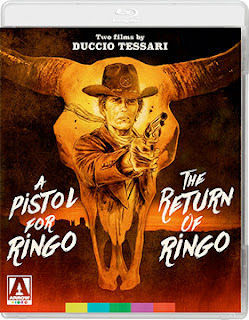 20 with the Blu-ray release of a new 2K restoration (from the original camera negatives) of both director Duccio Tessari’s A Pistol For Ringo and the follow-up, The Return of Ringo (both from 1965 and presented in both English and Italian). Bonus nuggets for these Giuliano Gemma all-action Spaghetti Westerns include commentary from genre experts C. Courtney Joyner and Henry Parke, two archival featurettes — “They Called Him Ringo” and “A Western Greek Tragedy” — and newly prepared English subtitles for the Italian soundtrack. Paramount Home Media and Nickelodeon will be teaming up on Mar. 6 for the next DVD collection of PAW Patrol adventures — featuring Ryder and his four-legged search and rescue friends — with the release of PAW Patrol: Sea Patrol. 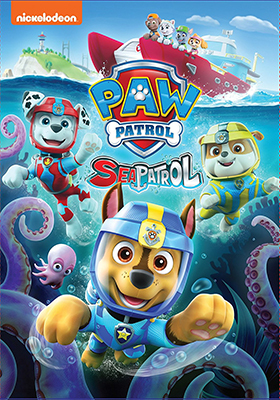 This newest set of adventures features six thrill-packed episodes involving the PAW Patrol’s new Sea Patrol HQ. The pups spring into action to save a baby octopus who has been separated from its mother and when the pier sustains damage the Sea Patrol pups come up with plans to save the pier. There’s more, much more … Ryder teams with Zuma and Chase to help out a rare Narwhal whale and there’s a hunt for buried treasure that goes array and it’s the Sea Patrol to the rescue!!! The film magic happened in a basement on Long Island in 1987 and then it was gone; lost. AGFA (aka: American Genre Film Archive), with sales and distribution expertise provided by MVD Entertainment Group, has tabbed Mar. 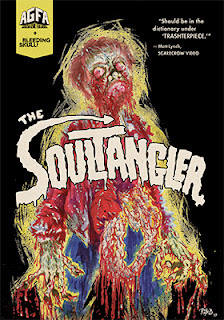 13 for the domestic DVD debut, heck, make that the domestic home entertainment debut (including VHS … the release in Brazil and possible South Korea on VHS aside) of director Pat Bishow’s lost zombie masterpiece, Soultangler. Rumors abound, but we have a pretty good source — although unconfirmed — that during the destruction of an old warehouse in New Jersey a stash of film masters dating back to this period were found sealed up in a wall. Among them, both the rough cut and the director’s unreleased cut of Soultangler were rescued. On a more disturbing note, reports also indicate that human remains were found in the rubble (DNA tests were inconclusive and New Jersey officials report that the bodies have never been identified). AGFA, we are told, was able to gain access to the materials and now the world — and genre fans in particular — await the arrival of filmmaker Pat Bishow’s lost zombie gorefest on DVD (VHS bootlegs can now be tossed) … Mar. 13 can’t come soon enough!! 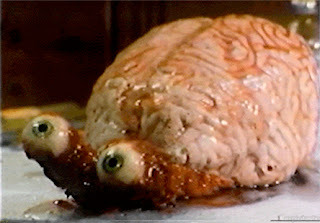 As this horror tale unfolds, we are introduced to Dr. Anton Lupesky (played by Pierre Devaux … he seems to have mysteriously vanished after the film was completed), who has developed a drug called Anphorium, which unleashes visions of deep-seated fears in human subjects (think: hallucinations). As mad scientists often find, their experiments go horribly wrong … Dr. Lupesky is no exception. A go-getter reporter by the name of Kim Castle (played by Jane or possible Jamie Kinser, who also vanished after the film was completed) gets wind of Lupesky’s bizarre experiments and starts an investigation. Soon, however, corpses are up and running on Anphorium and we all know that when the dead are animated you have a zombie outbreak ... can Kim warn the world before it is too late?